Paul Johnson's book, Intellectuals, provides many examples of the disastrous personal lives of intellectuals like Jean Jaques Rousseau, Karl Marx, Jean Paul Sartre and Simone de Beauvoir. Why do so many intellectuals—who famously argue for a better society— behave so badly in their personal relationships? Johnson suggests a few explanations, such as their need for attention and desire to post-rationalise bad decisions. There is also something about the way that these intellectuals think that leads them to neglect the people close to them. They share a faulty view of society, from which it makes sense for them to care so little about their personal relationships. 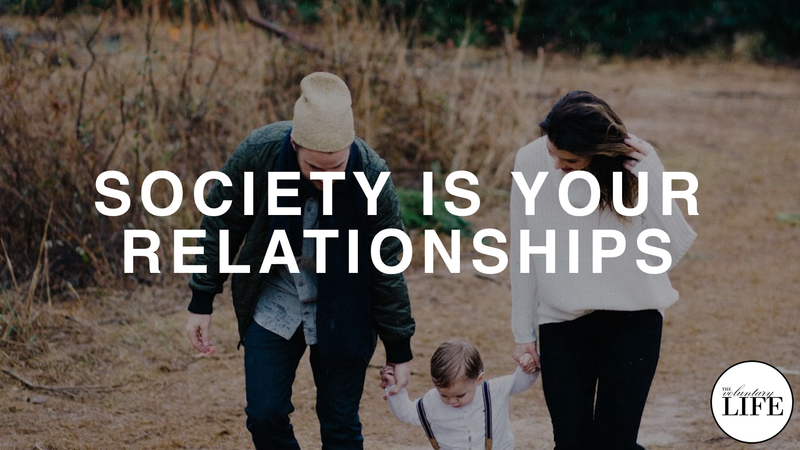 In this episode, I argue that a correct understanding of society leads to investing in your personal relationships, because your society is your relationships.